Manufactured in Japon from 1999 until 0. 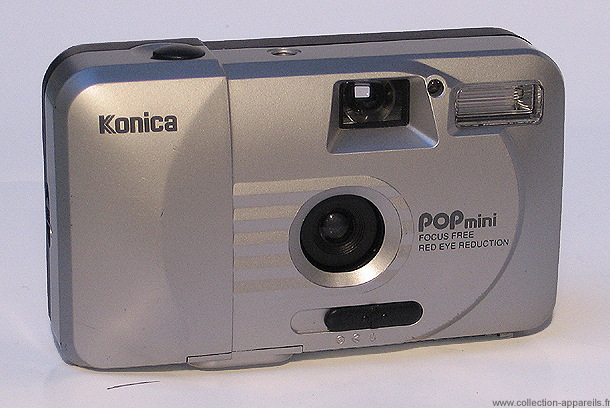 Camera with very light manufacturing in plastic matter for young children or for an occasional use, it was delivered in a gift box with bag and strap accompanied by a Konica colour film of 24 frames ISO 200. It is very small and thus easy to carry everywhere, especially as its lens is protected by a flap. It is equipped with an anti-red eyes system. The lens is an 8/26mm without focus.